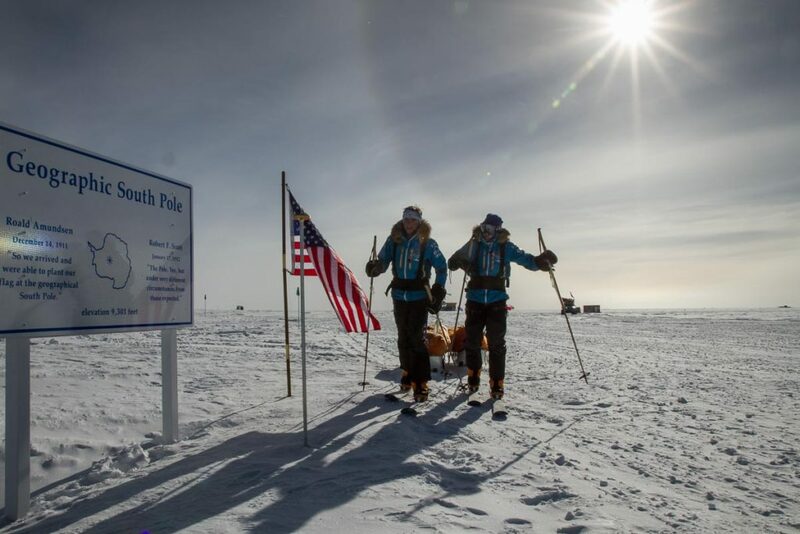 Doug Stoup and Parker Liautaud finish the Willis Resilience expedition making it to the South Pole. This is the geographic South Pole, which is set aside about 200m from the ceremonial pole, which is the one with all the flags. The Geographic South Pole is at the very southern point of the earth’s axis.